Little Sister loves to play with our homemade busy bags. They are perfect for keeping her busy and she also learns while having fun playing. 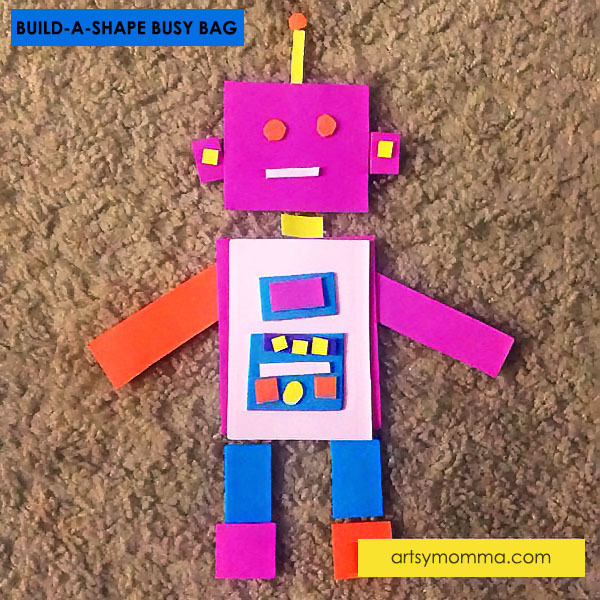 Our newest one is a simple shapes busy bag that encourages preschoolers to be creative. Cut craft foam into circles, squares, ovals, triangles, rectangles, and so on in all different sizes. I purchased our craft foam from Dollar Tree and didn’t even use half of it making this a super cheap activity. You can also find it at stores like Walmart and craft stores. I have also been adding leftover pieces from craft projects we have been making. I placed all of the cut shapes in sandwich sized baggie with the easy zip up so my daughter could close it by herself. As usual, Little Sister wanted to make herself and her doggie (her favorite stuffed animal). We have actually made these every single time we bring out the shapes busy bag and she never tires of it. She also enjoys making houses. The possibilities are endless and I love that it gets her imagination going! 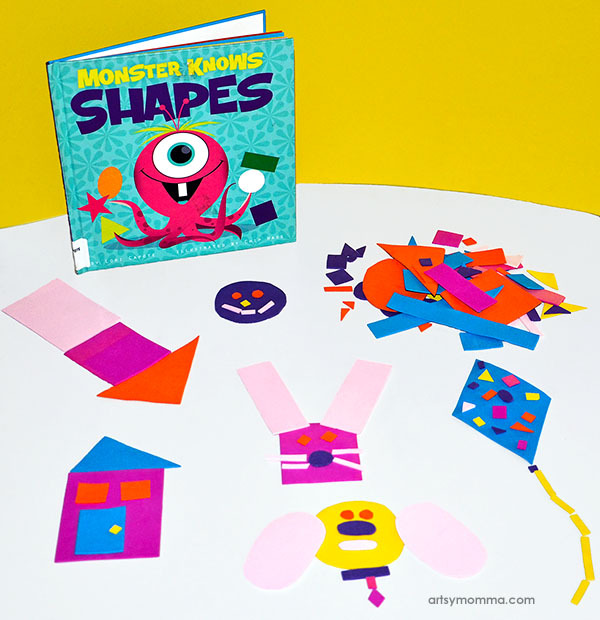 During our visit to the library, we checked out the book titled Monster Knows Shapes (affiliate link) . In this book, which is also part of a series, Little Monster spends the day at the beach learning about shapes and learns that shapes are everywhere. This post is also part of a new collaborative series with 4 other crafty bloggers. Twice a month we will be sharing ideas for the same preschool theme. 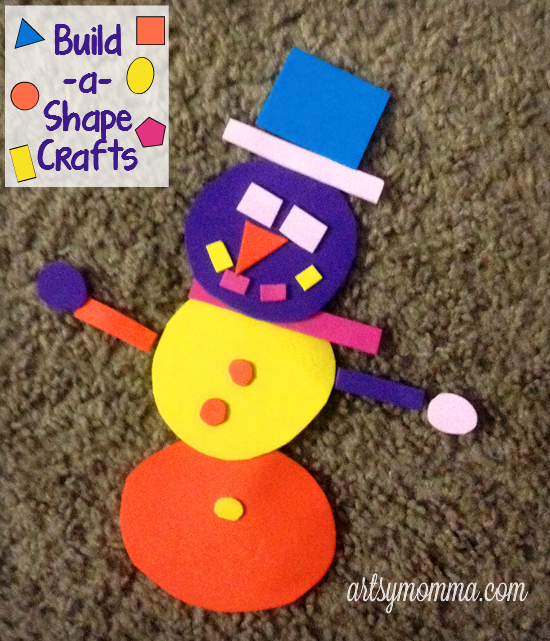 This weeks creative learning theme is SHAPES. We would love for you to check out their amazing posts!